This gift guide is here to help you with a very important decision; what to buy the blogger in your life. It can be a confusing experience, being the friend, or relative, of a blogger. You may be used to having your face paraded on social media, your food photographed at restaurants and being used as a personal thesaurus when you'd rather be watching the telly, but what does a blogger want for Christmas? 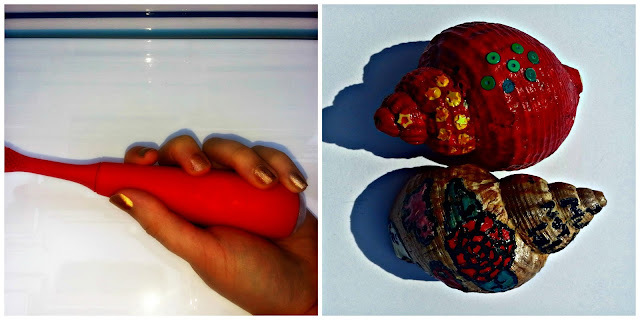 I have purchased some low cost items this year that have turned out to be invaluable for all things blogging, and I also asked some of my favourite bloggers for their ideas too. This is our essential wishlist of bloggers' bargains and best buys! This post contains affiliate links, which means I get a little commission if you buy through the links in the post. This first item featured in my Teenagers Gift Guide too, but it is equally, if not even more, relevant to bloggers. 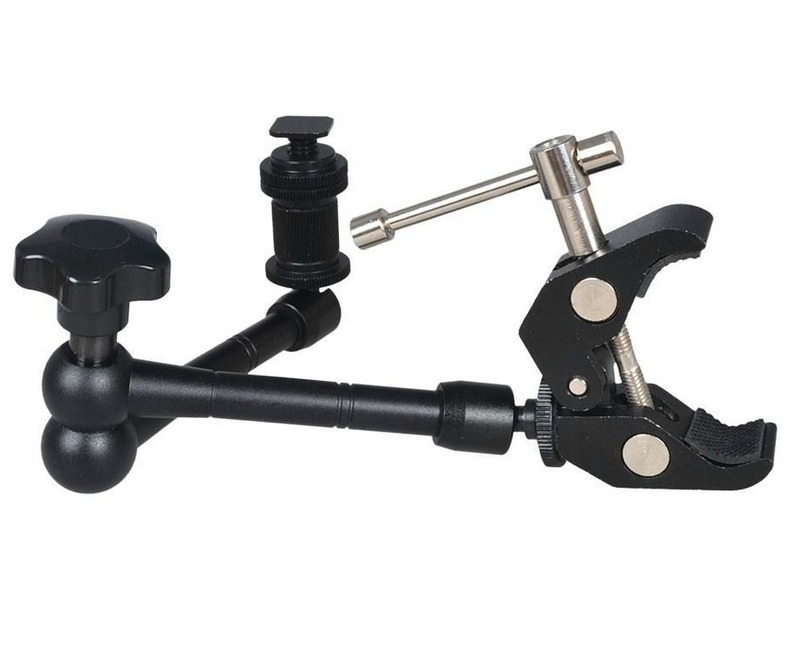 The Articulating Magic Arm Universal Clamp provides a hot shoe and camera mount which is fully adjustable and clamps almost anywhere. The thing I love most about it, from a blogging point of view, is that it means you can photograph and film from above. 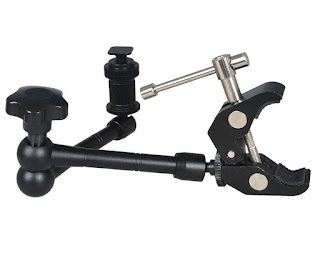 Perfect for flat lay photographs and filming craft or cooking videos, for example. I found this to be a total game changer when I bought one and, at just £11.95, it won't break the bank either! Great photos are really important for blogging. Sometimes you get sent nice things to try, and you want to do a good job for the promoter, and sometimes you might want to show off something you've bought or made. In an ideal world, you would have all the right kit for photography, but this can be expensive, so it's good to get creative. Using the same background for photos gets very boring, but it's easy to mix things up a bit, with a visit to a DIY store. You can buy any number of floor tiles, and wall paper samples, which will add variety to all your close ups and flat lays. The toothbrush photo below was taken with a tile background (25p in the sale!) and the shells were taken on a large piece of white paper. 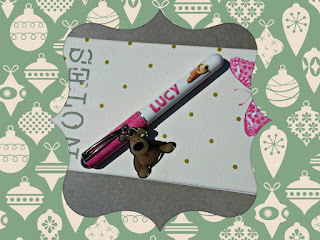 A DIY store voucher, for shopping in the January sales, would make a great blogger gift, or a large drawing pad, as suggested by Kate, from Crafts on Sea. 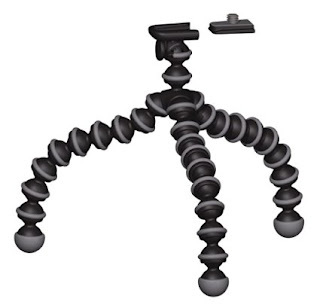 Donna, from What the Redhead Said, suggested the Hama Star 75 tripod as a great investment. and I know a few other bloggers who use it too. Tripods make a world of difference to photographs and videos, preventing tiny camera shakes that can cause blurring. and making it much easier to photograph and film yourself! GorillaPods are also highly recommended by bloggers, like Darren, the fabulous photographer behind Photalife.com and Jade, from Mummies Waiting. They are great for keeping a camera steady on an uneven surface and also attach to pretty much anything, even a buggy! Blogging is a constant learning curve, and I just found out that an eye-fi card, like this one from Toshiba, is a brilliant addition to a blogger's armory, as recommended by Jade and Donna again, who either know what they're talking about, or just really love shopping! 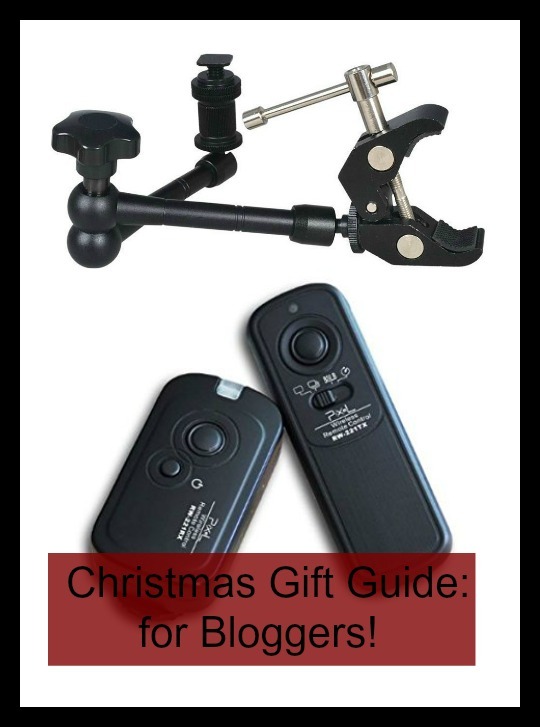 Most of this gift guide seems to centre around photography, but I do have two more must-haves, before I move on. Lightboxes are brilliant for taking quality photos of small items; food, or review products, for example. They do exactly what they say, diffusing light from all directions evenly, creating hardly any shadows and providing a plain, neutral background for any small item that will fit inside the box. 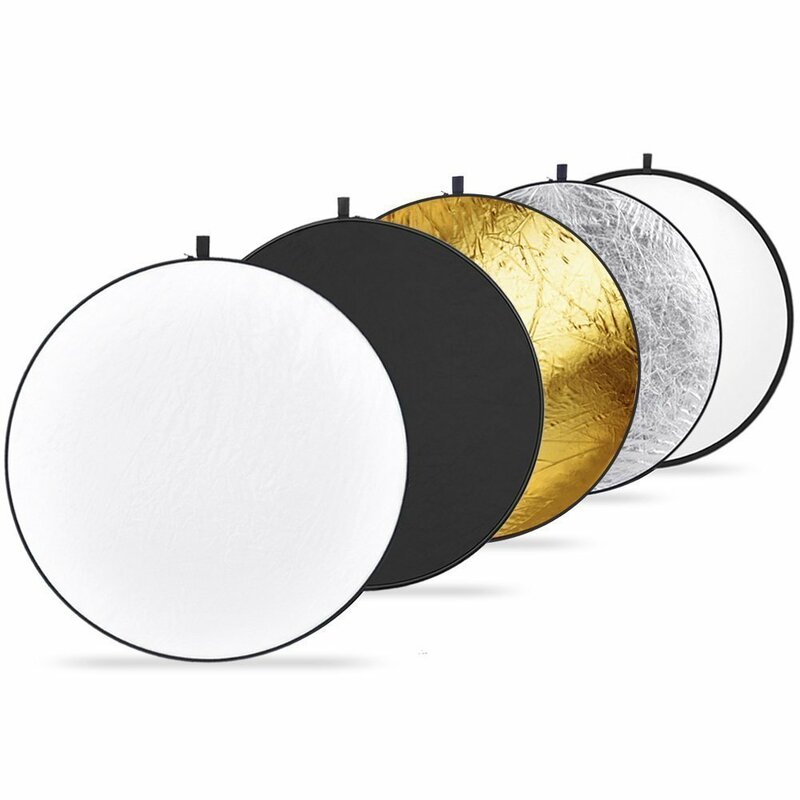 For bigger items, reflectors can be a useful tool. Particularly for taking photos of people outside in strong sun, I find a reflector is brilliant for redistributing unflattering shadows, that might be accentuating those extra chins that no one wants to highlight! I have this set of reflectors, which comes with a variety of colours, and folds neatly into a small case. 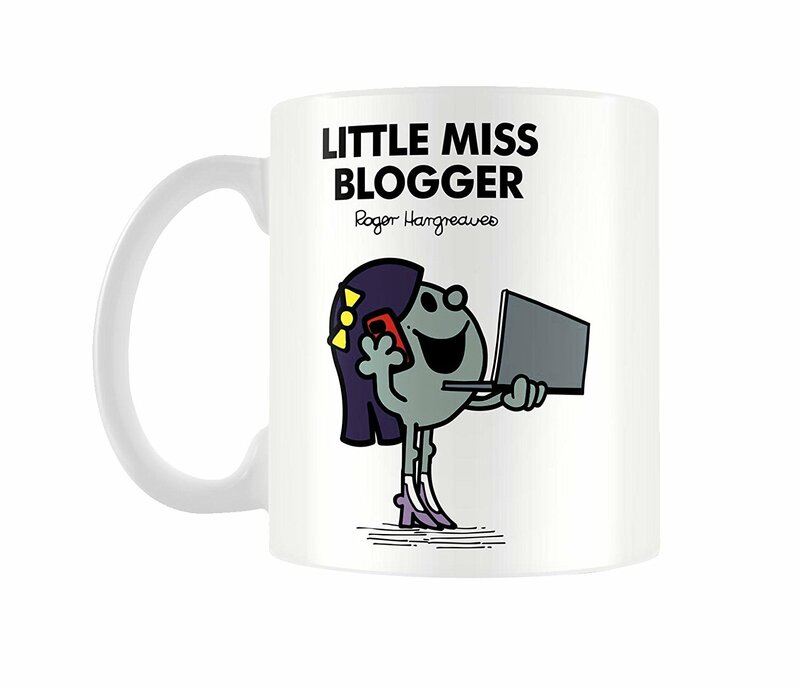 Blogging is rapidly becoming big business and there is even merchandise aimed specifically at bloggers. 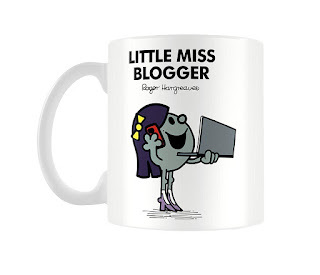 Mellissa, from FlyDriveExplore was particularly taken with this Little Miss Blogger mug. Bloggers do drink an awful lot of tea and coffee, to get them through the late deadlines and more boring aspects of the job, like replying to emails that make absolutely no sense and scheduling social media and blog posts! Another useful item for bloggers is editing software, for making photos even better, and also because we have to mess about with the sizing to fit them on different social media platforms. In many cases, helpful sound equipment, such as microphones and headphones with mic attachment (for recording voice overs) can be useful, but only if that's something your blogger does. This is my best bit of advice actually; if you want to know what to buy a blogger, read their blog! Not only are you perhaps going to find out what non-blogging items they have their eye on, but you will also see what sort of blogging they do, which will help you pick the perfect gift. Finally, I think I speak for the majority of bloggers, when I say we can never get enough stationery! Most of us are passionate writers and there is something about an unspoilt notebook, or brand new pen, that will always make us happy, no matter how many we have! My son is going to buy me that cup!